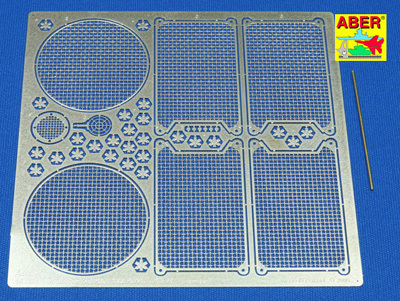 1/16 King Tiger Henschel Photo Etch Grille Set Discounts Apply ! 1/16 German King Tiger Henschel Photo Etch Grille Set. Fits Tamiya full option King Tiger RC tanks (56018). Add great detail to your RC tank.